How to Reset Autodesk 3ds Max to Its Default Settings – 3ds Max (formerly known as 3D Studio Max) is a three-dimensional modeling program that allows rendering of images and animations. Being used in animation film production, 3D game character creation, TV vignettes and commercials, electronic modeling and the creation of any virtual world. Files generated by 3ds Max have the native .MAX extension. However, it is extremely compatible with many of the three-dimensional modeling software. One of the most important features is the generation of NURBS surfaces. Get to exchange files with the main extensions .3DS, .DXF, .DWG, among others. In the modeling of some objects if necessary, modifiers (modifiers) can be used, which can come from plug-ins. 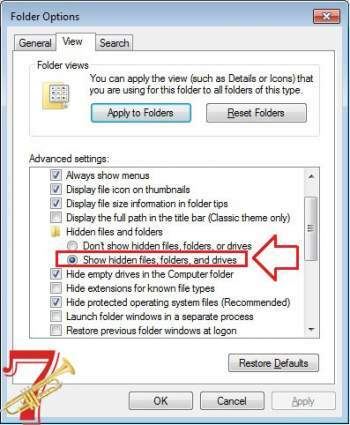 In Windows 10: Go to Windows Explorer > Tools > Options > Change Folder and Search Options > View tab. Find the 3dsmax file (configuration settings type) and then DELETE it. This procedure should apply to the all latest version of the Autodesk 3ds Max (2008 2009 2010 2011 2012 2013 2014 2015 2016 2017 2018). Hopefully, the article of How to Reset Autodesk 3ds Max to Its Default Settings useful for you. Good Luck!